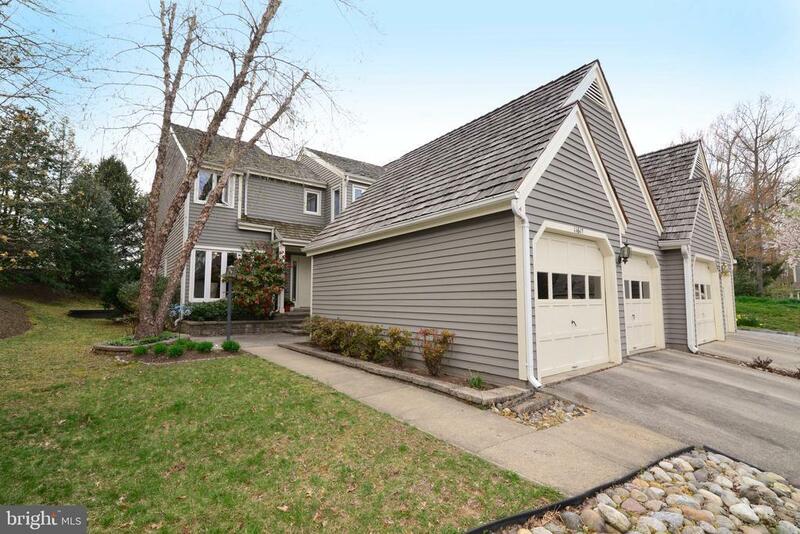 Make plans to check out this spacious end-unit townhome in North Reston...just one block from North Point Village Center and across the street from the Lake Newport 50-meter pool! This home features 3 bedrooms, 3 1/2 bathrooms and a 2-car garage. The charming stone patio area welcomes you to the front of the home. The main level has newer hardwood floors in the living room, dining room and main level bedroom (installed in 2013). The breakfast room and kitchen also have beautiful hardwood floors. The kitchen was updated in 2010 with granite, 42" cabinets, glass tile backsplash and undercabinet lighting! The kitchen also features stainless steel appliances, and the oven/range and refrigerator were replaced in 2015! There is counterspace in the kitchen for casual dining and there is also a breakfast room/family room area for casual dining as well. The dining room opens to the living room which features a two-story vaulted ceiling and also has a sliding glass door leading to the two-tiered back deck - great space for casual entertaining with family and friends! Double doors open to the main level bedroom, which could also be used as an office. New hardwood stairs were installed to the upper level in 2014. On the upper level, there are two bedrooms, each with a private bathroom. The owners suite has a vaulted ceiling, ceiling fan with light, a wall of windows offering great natural light, and two closets with custom shelving - one closet is a walk-in closet. The owners suite bathroom was completely remodeled in 2015, and it is NICE! It has beautiful ceramic tile floors, granite counters with undermount sinks, updated mirror and lighting, and a beautiful, glass-enclosed, tiled shower. The second bedroom on the upper level has a private bath as well and both bathrooms also feature windows for great natural light. The laundry room is also on the upper level with a newer washer and dryer (2014). The lower level offers great additional living space, including an exercise room with recessed lighting -with double doors which open to the recreation room (currently used as a guest room), and a full bathroom with dual entry from both the main hall and recreation room/guest room. There is also another office space or playroom area and two large storage rooms. Great flexibility in the floor plan to work with your lifestyle needs. Other key updates include: New HVAC (2015). New roof (2012). New hot water heater (2012). Directions: Dulles Toll Road to Reston Parkway, Exit North. Right on Lake Newport Road. Left on Chapel Cross Way. Then right and 11617 will be the end unit on your far right.